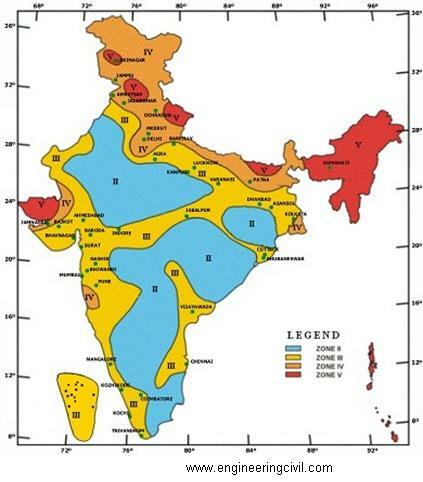 According to BIS 1893-1966 (Criteria for Earthquake Resistant Design of Structures), India was divided into 7 seismic zones, zone-0 to zone-VI. Later,In BIS 1893-1970, it was revised to zone-I to zone-V. Now, as per the latest version of BIS 1893-2002, zone-I has been merged with zone-II, and only seismic zones II to V exist (refer Figure 1) in India, where zone-II is the least earthquake prone zone, and zone-V is the highest. 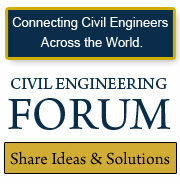 HOW TO MAKE OUR BUILDING/STRUCTURE SAFE AGAINST EARTHQUAKE? 2. 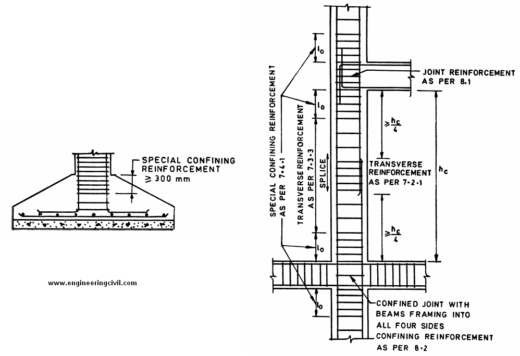 Proper detailing of structural elements as per BIS13920:1993, reaffirmed 2003 (Ductile detailing of RC Structures Subject to Seismic Forces), which is applicable for seismic zones III, IV and V.
3. 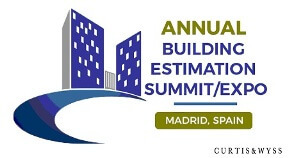 Retrofitting of existing structures supported on load bearing masonry walls. 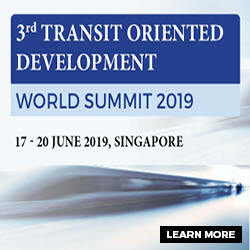 • During design using BIS1893, the structure should be designed as OMRF (Ordinary Moment Resisting Frame), if it is designed and detailed as per BIS456:2000, but not meeting ductile detailing requirement of BIS13920. However, if specially detailed to provide ductile behavior and comply to requirements of BIS13920, the structure should be designed as SMRF (Special Moment Resisting Frame), where R (response reduction factor, defined in BIS1893) is higher than that for OMRF, thus considering considerably less seismic base shear and making the structure more ductile and resistant to earthquake. 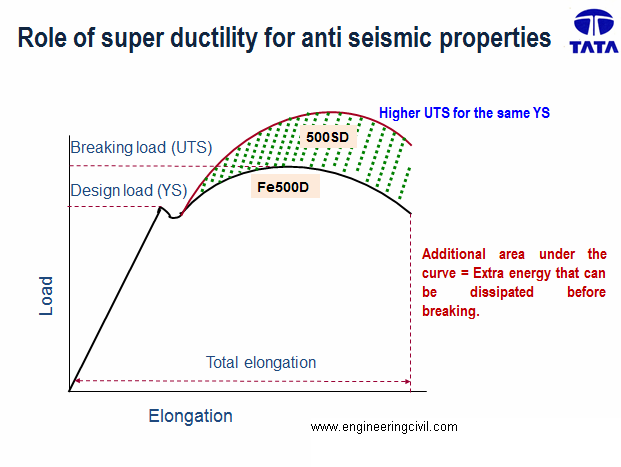 • On analysis, storey drift should never exceed (Storey height/250), as per BIS1893. • Minimum grade of concrete to be used should be M20. 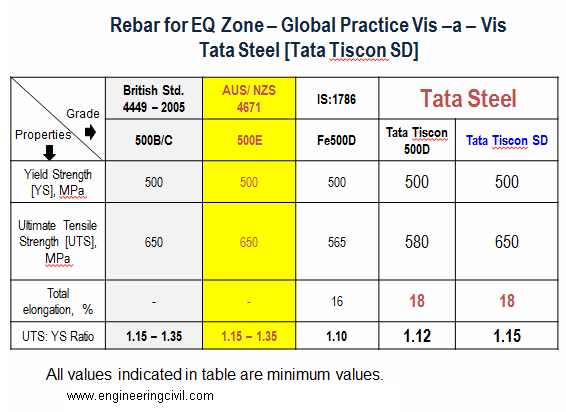 • High yield strength deformed steel bars, produced by the thermo-mechanical treatment process of grades Fe 500 and Fe 550 having elongation more than 14.5% and conforming to other requirements of BIS1786:2008 may be used for the reinforcement. 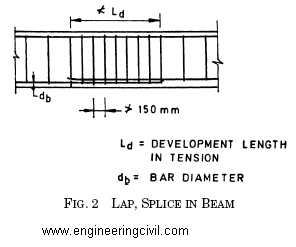 • Minimum and maximum percentage of longitudinal reinforcement in beam should satisfy requirements of BIS13920. As shown in Figure 6, the spacing of stirrups should be satisfied. However, nowhere spacing of hoops should be less than 100 mm. Minimum dia of hoop bar should be 6 mm. 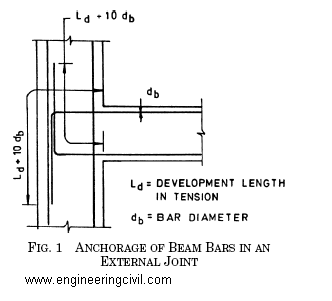 In beams with clear span exceeding 5m, the minimum bar dia should be 8mm. • Stirrups with 135o hook bend and 10d (>75mm) hook length should be mandatory used as per BIS13920. [refer Figure7] In this endeavor, Tata Tiscon have come up with such ready-made stirrups (Brand name: Super-links) available in all dealer counters across India. 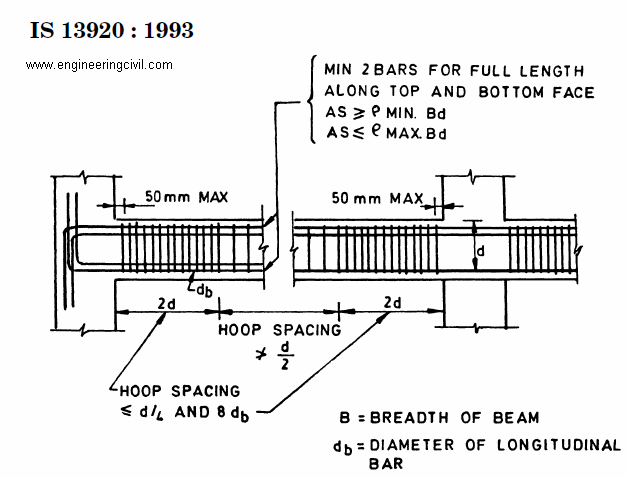 • The spacing of hoops used as special confining reinforcement shall not exceed 1/4 of minimum member dimension but need not be less than 75 mm nor more than 100 mm. 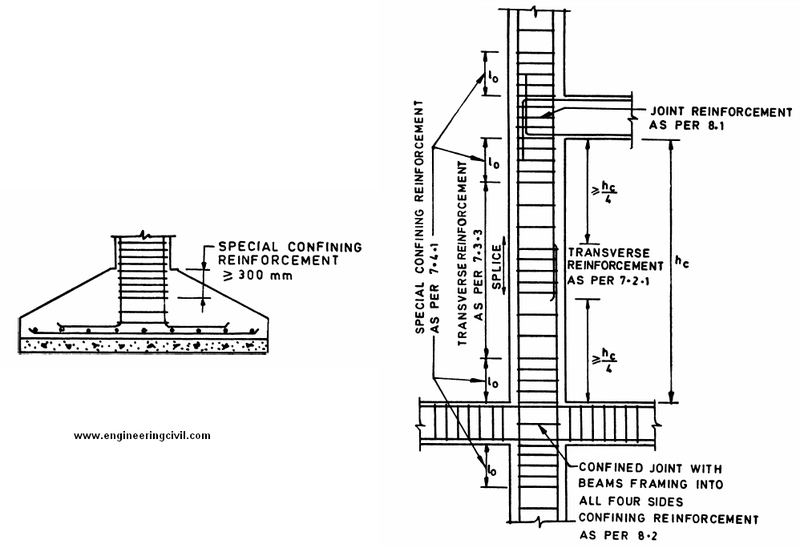 • Shear walls are integral part of lateral load resisting system of the structure, and to show ductile behaviour, should be designed and detailed as per provisions and clauses given in BIS1893 and BIS13920. • Percentage of permissible increase in Allowable Bearing Pressure, Resistance in soils, and minimum N-values (SPT value, i.e, standard penetration test value of soil) should satisfy table 1 of BIS1893. 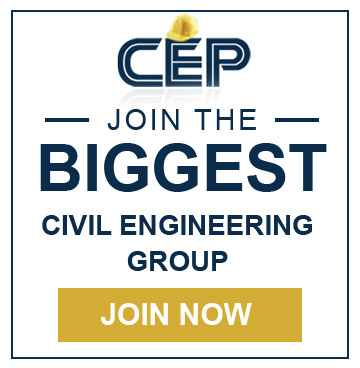 Disclaimer: This document aims only at highlighting good construction practises and meaningful applications to make RCC structures with proper safety/stability considerations. In any case the desired result is not obtained on following the write-up, the author shall not be responsible.